The present study investigates the differences in physical health-related quality of life (HRQoL) among overweight and obese people, as well as the correlates of HRQoL in this population and the association between BMI, depression, anxiety, and potential mediating effects of HRQoL. The research was conducted on a sample of overweight and obese adults who visited their primary care physician. 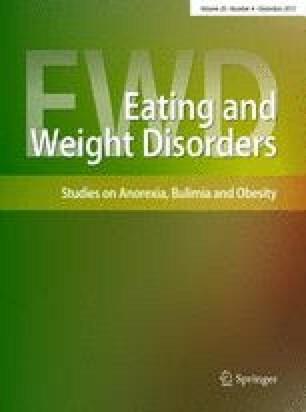 A total of 143 women and 130 men were enrolled in the study, 43 % of the subjects were overweight, and 57 % of the subjects were obese. The subjects ranged in age between 21 and 60 years. Depression and anxiety were assessed using the Hospital Anxiety and Depression Scale, and HRQoL was evaluated using the Medical Outcome Study Short-Form 36. The analysis of variance results showed that women in comparison to men have lower physical HRQoL (e.g. worst physical functioning, more bodily pain), and that severely obese patients have lower physical HRQoL in comparison to overweight ones. The regression analysis results indicated that some of the aspects of physical HRQoL (e.g. physical functioning, role limitations) mediate the relationship between BMI and depression only in women. The higher level of body mass decreased the physical HRQoL, which became a potential risk factor for the development of depressive symptoms. The results from the present study show that a different pattern of functioning exists between men and women. It is important to identify the factors that can effectively motivate and stimulate obese people to change their lifestyle and to consider the differences in psychological functioning between women and men. This study was approved by Ethical committee of Faculty of Humanities and Social Sciences in Rijeka, Croatia.